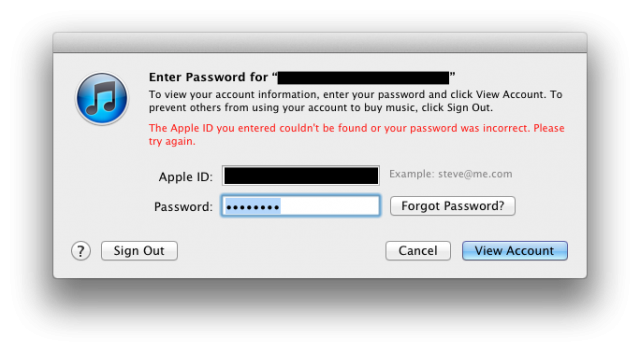 Very early Friday morning, around 1AM, iTunes and iCloud users come to a horrific screen when trying to login to their accounts. It seem that Apple is having a major outage across the United States of users trying to access their accounts. If you’re trying to access any section of Apple’s service that requires you to enter your password you’re out of luck, it seems that everything is down. Apple has not confirmed the downtime or the reason for it to be happening. A quick search of Twitter shows that people all around are having the same exact issue. This is slightly strange because Apple’s iCloud system status is “All services are online.” Hopefully Apple’s engineers are hard at work diagnosing the problem. This is the first in a long time of major outages for the Apple system. It doesn’t happen all too often but when it does it takes a serious blow to the users. Apple’s users rely on their Apple ID to do anything on their device from logging into iCloud to check mail or downloading a new app that may be for sale or something that they must have. I happen to come across this problem when trying to redownload an app from the Mac App Store and others are reporting other systems of the Apple service is down as well. The Apple ID you entered couldn’t be found or your password was incorrect. Please try again. This message that everyone is coming across is quite scary, it the person is not aware of the outage it could seriously panic them. It could mean that their account at Apple was compromised or that someone has their password. The one thing that is very sacred to us is our passwords. Again, Apple has not publicly addressed the issue, but we can tell that it’s an outage. Hopefully it isn’t something worse like hackers breaking into Apple’s database and sealing everyone’s information. That is just a far-fetched idea but it could happen. Continue checking right here and we’ll update you with more information as it comes in. Update 2:06 AM: It seems that a small number of users are reporting that they have access. Update 2:19 AM: It was confirmed from an anonymous source that talked with Apple that they are having server issues and should be back very soon.